 Get Backup Generators | Florida Power Solutions Inc. The Department of Homeland Security and the FBI are ratcheting up emphasis on defending our country from the very real threat of a terrorist cyber attack on our power grid, an attack similar to the cyber attack in the Ukraine a year ago. That cyber attack knocked out power for nearly a quarter-million people across the Crimean Peninsula. The scary thing is that they can do the same to us. Our internet infrastructure was created without the idea of being attacked by another computer. So these “Commodore 64” operating systems are extraordinarily susceptible to any type of cyber attack, and according to hacktivists work who work for the internet movement Anonymous, the hacker does not even need not be particularly proficient. In other words, this could be pulled off by a novice theoretically. And US relations with Russia are deteriorating, along with Iran, North Korea, Syria, and any other hacker group who wants to bring pomp chaos to our nation and our people. Turning off the power in the United States would be tantamount to turning off our life-support system. We can do nothing without power. But there is good news. If or when that day comes, the best way to be ready is to have the ability to exist totally off-the-grid as a self-sustainable living environment, fully powered and totally secure. 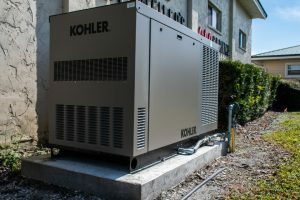 Whether you’re installing a residential backup generator or a commercial backup generator, you’re not only making your home and business safer, you your giving yourself the peace of mind that in any event that causes a power outage — whether it’s a hacker group in Russia that took out part of our country’s electrical grid, or a severe weather event like a big nor’easter or a hurricane — the result will be the same if you don’t act now, BEFORE the crisis occurs. And just so you know, the main reason it’s so important to act early, is that there is a county permitting process and some bureaucratic hoops to jump through before installing your home backup or commercial (business) backup generator. The good news is, you can trust the professionals at FPS to walk you through all the details, and will answer all of your questions and concerns. The idea of a cyber attack sounds far-fetched, but it’s really not. There are places in the Ukraine that never got their power restored, and the electrical grid hack occurred in December, 2015. “This isn’t the last time we’re going to see this, and that worries me,” said Admiral Mike Rogers head of Cyber Command and director National Security Agency. The United States and Israel have deployed cyber weapons. We launched a cyber attack against Iran at their Natanz Nuclear facility where they were actively refining enriched uranium. It was very clear that the uranium was being refined for use in nuclear weapons, not power reactors. So what did the United States and Israel do? Details are still sketchy, but here is a rudimentary explanation of how we used computers to blow up a nuclear facility which was developed during the George W. Bush administration. This plan until very recently would only have been only a science fiction fantasy. In order to make the uranium weapons grade, the uranium must be refined and concentrated in a long, complicated process which produces the strain of uranium. The process requires the employment of thousands of centrifuges. These centrifuges spin very quickly, many times per second in this case, and they must spin at a uniform motion for the process to work. The Stuxnet malware (Stuxnet was called “Olympic Games” by the NSA; Stuxnet was a name created by the media) infiltrated the programmable logic controllers that controlled the rotation frequencies of the centrifuges. A very simple explanation (because it would take another chapter to explain all the intricacy and nuance of the operation, nor am I an expert, per se) is that Stuxnet did one of two things to affect the centrifuges’ proper operation: 1) the virus would cause the PLC to speed up the centrifuge up until it spun so quickly, groups of centrifuges literally exploded, or 2) the malware would slow the centrifuge down to the point its centrifugal force no longer kept it upright, and it tumbled over and shattered. If you can imagine a child’s toy top spun on the floor, when the top slows it begins to wobble, then when it slows sufficiently enough, the top falls off its axis and literally topples over. This was a huge revelation in the cyberworld because the virtual world had just caused actual physical damage to something in the real world, and the implication were simultaneously incredibly compelling and extraordinarily terrifying. Hackers could now use malicious software written into a computer program to destroy something — anything — in the real world. Stuxnet was a game changer.